Transport yourself back to the 1970s, and you will remember a time when there were no violent or sexual music videos on the TV featuring half-naked pop stars or crotch-grabbing rappers. This was a time when kids weren't interested in comparing brand names on clothes, and didn't have to worry about health and safety issues such as wearing goggles to play conkers - who came up with that one? There no home computers, tablets or mobile phones, and for that I am truly grateful. We would watch innocent TV shows like those featured on this page, and then, maybe go out for a bike ride and meet up with our friends, actually talk to each other face-to-face, climb trees and ring someone's door bell and run away - a lot more fun than staring at a mobile phone and sharing your latest batch of selfies on Instagram. Let's now take a look back at a few of those children's TV programmes from the golden days of television. 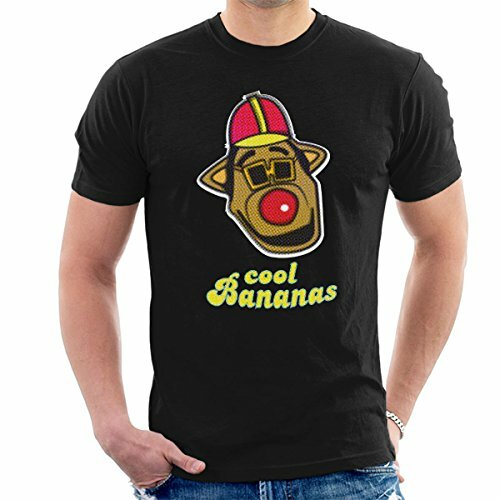 The biggest memory I have from this psychedelic TV show is the Tra La La Song (One Banana, Two Banana etc. 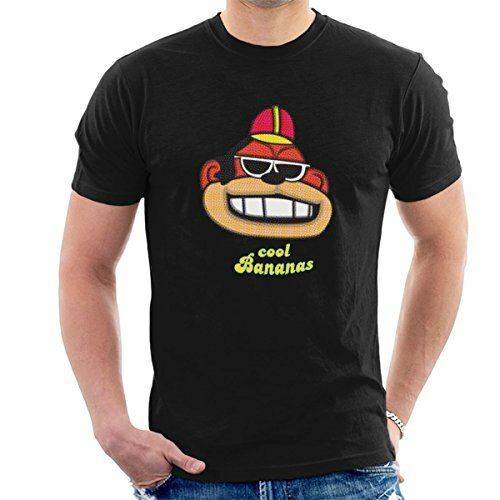 ), which was actually released as a single - the song featured on the 1968 album We're The Banana Splits - although it only reached #96 on the Billboard Hot 100 in the U.S. I'm not actually sure whether it was ever released here in the UK. However, a punk band called The Dickies released a cover version in 1979 which reached #7. 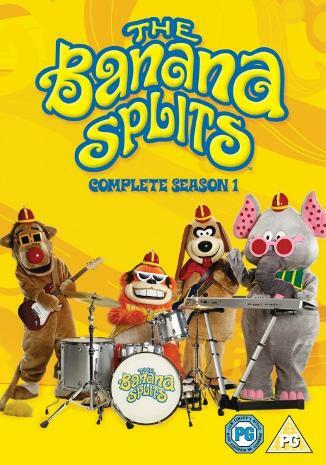 The Banana Splits were a rock band, but do you you remember the names of the four costumed characters? They were Fleegle, who was dog-like and played guitar and vocals, Drooper (bass, vocals) who I think was supposed to be a lion(? ), Bingo (drums, vocals) who looked like a smiley monkey and Snorky, who looked like an elephant that had been on a day trip to Sellafield and played keyboards and effects. The series was produced by Hanna-Barbera and ran for just two seasons. 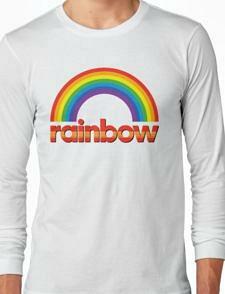 It originally aired between September 1968 and Sept 1970. 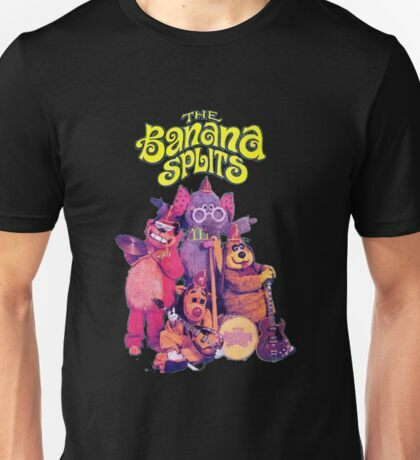 Created by Pamela Lonsdale, this very popular children's TV series originally aired five times weekly on the ITV network, before being rescheduled to twice weekly on Mondays and Wednesdays, then Tuesdays and Fridays. Another reschedule led to the programme being aired just once weekly at 12:10 on Fridays, before it's demise on 6th March 1992. 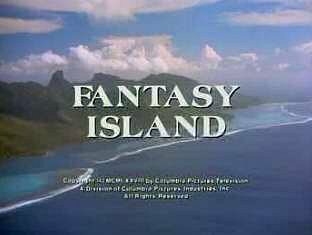 The first episode was broadcast on ITV on 1st September 1972. The series ended pretty abruptly when, after more than 1000 episodes, Thames Television lost its ITV franchise. We all remember the main characters don't we? Zippy (who was actually made from a rugby ball! ), George (a gentle, more reserved pink hippo), Bungle (a clumsy bear who complaibed a lot) and, of course, the human presenter trying to keep them all under control, Geoffrey. 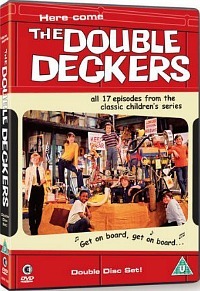 I certainly remember watching Here Come The The Double Deckers on a Saturday morning back in the 70s, and the video clip made me feel like a kid all over again! The characters were Spring (He was black, but I'm not sure why he was called Spring), Billie (The cowgirl), Brains (he wore specs), Doughnut (he was fat), Sticks (he played the drums), Tiger (she had a cuddly tiger who was also called, erm, tiger!) and Scooper - no idea why he was called Scooper? I'm not sure whether calling someone Doughnut would be allowed today, though, in our politically correct world. Play Away ran from 1971 until 1984 on BBC2 (usually Saturday afternoons) and was a sort of longer version of Playschool and for slightly older kids. I didn't enjoy it half as much as Playschool, despite it being more energetic - I think I preferred the more laid back approach! 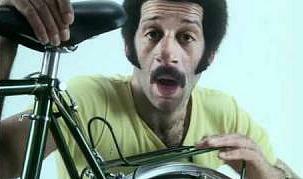 The video clip in the playlist at the top of the page features the legendary Brian Cant, Tony Arthur, Jeremy Irons, Anne-Marie Hackett and Julie Stevens. Tony Robinson was also in this episode, although, unfortunately, he's not on this clip! Brian Cant (1981) - oh yes he can! That's the first time I've heard that music since the 70s! Vision On was a childrens art programme for the deaf, although many kids who were not deaf would also watch it, including myself. The programme became quite popular and soon gained a wacky and surreal edge. Regular presenters on the show were Tony Hart (who went on to present his own art shows inc. Take Hart and Hartbeat), Wilf Lunn (he used to show-off his latest inventions) and Sylvester McCoy who became the seventh doctor on Doctor Who in 1987. This clip features the clock sequence from 1974. Remember this? Yes, it's the scary Vision On logo which always used to give me the creeps! How long did it take you to work out that the image was created using mirrored "vision on" wording? This clip features the opening titles from the children's art show Take Hart, which replaced Vision On in 1977 and ran until 1983. 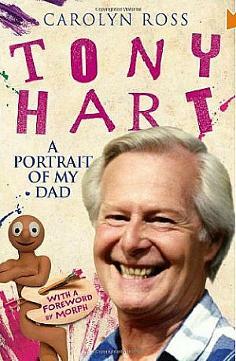 Presented by artist Tony Hart, one of the show's most memorable characters was the animated plasticine man, Morph. The show also featured the caretaker, Mr Bennett - remember him?